After an intensive year of running and racing I gave my feet a short race-break early this year. Not that I paused running all-together, I just cant! I now run all-year-round but at least try to respect some ‘phasing’ by pushing the ‘restart’ button and rebuild from ‘base’. This also entails more cross-training and some weight- and resistance training as well. It also provides a good momentum to refresh the running focus and ambitions for the next running season. In my last Running Diary I’ve already expressed my ambition to push for a new breakthrough in ultra-running this year, with the 246 km long Spartathlon as ultimate goal; if not this year, next year for sure, as you have to qualify to apply for entry. Upon arrival back home in Athens, I received confirmation for my participation in the Psatha-Alepochori race on 18 February, just one month later! 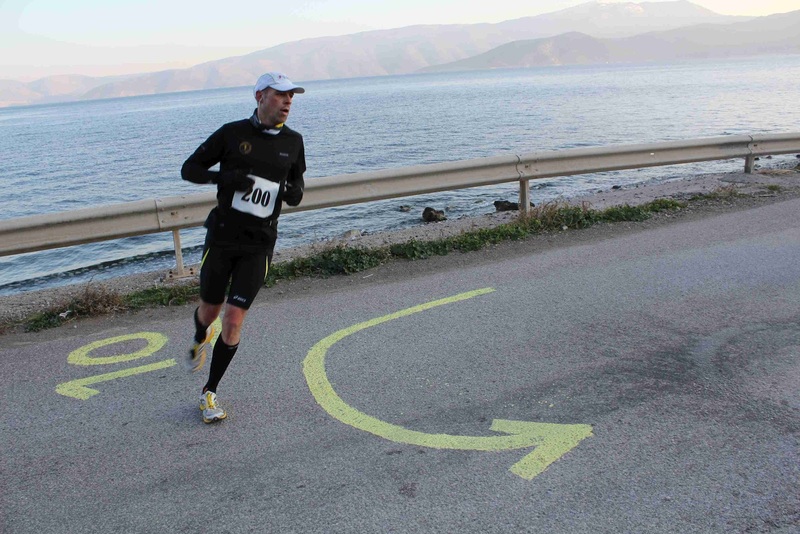 This race is considered as the Greek championship on the 50 and 100 km. I signed up for the 100k as this happen to be a qualifying race for the Spartathlon, provided a finish-time below 10 hours 30’. I couldn’t dream a better motivation! So I started reading books and articles on how to prepare and train for a 100k race, including rereading some chapters of Bern Heinrich’s classic novel “Why we run”, when he was preparing for his legendary 100k back in 1981 in Chicago. So-called ‘back-to-back’ runs ( B2B) soon became my key workouts for the weeks to come. B2B means that you run a fairly paced long run on e.g. Saturday (between 30-40k) and another but slower long run the following day (between 20-30k), to get used to the abuse of body and mind! Whilst in ‘arctic’ Kosovo I logged a memorable 120k indoor running week culminating in 44k on the treadmill on Saturday followed by another 22k next morning, again on this rubber band. The only trouble I suffered was the chafing of my short to my inner thighs! Soon came the day of truth. My preparation time for a 100k was far too short (should be at least 16 weeks, not 4!) and I had hardly chance to run long miles on asphalt. So, with some doubts we - me and my two best fans (spouse and daughter) - headed to Korinthos to stay overnight at friends in beautiful Loutraki. Early morning before sunrise I had to navigate the car over a mountain pass to get to the starting line in Psatha. I made it just in time and 30’ later I found myself at he starting line of the Greek championship 50/100k, being one of the few if not the only ‘foreigner’ (but running for my Greek running club ‘Grigora Kordonia’ - ‘Fast Laces’). The weather was cool but the sun pushed the mercury with the hour. The course was along the seashore and thus mostly flat. The only set-back was the looping of 10 times the same 10k! The first 4 loops are okay but gradually it becomes a very mental thing to stay focused after every ‘turning point’, especially when crossing the ‘finish-line’ for the 5th, 6th, ...time. Soon I realized I took of with a too high pace, around 12km/h, not realizing I was running among mainly 50k runners. Once they finished my pace dropped but not steep. I was still running pretty strong in the 6th lap, yet feared a breakdown in the final four laps. Although body and mind signaled growing fatigue, the breakdown did not happen, luckily. The 7th and 8th lap proved to be the most taxing ones but thanks to the moral support of my two big fans, from running friend and marathon queen Philippa and last but not least from the race directors of Olympia Trail and the Spartathlon, I pushed through the wall of pain for the last two laps and even overtook two runners, finishing 7th overall in 8:57:20. Winning a cup for this position was nice but hearing from the aforementioned race-directors I performed well and could expect entry-confirmation for both the O- and S-race. Mission accomplished! My mind was overwhelmed but my body ached. Sore legs were normal but my stomach was so upset that i could not drink or eat, while the ride back over the mountain pass made me feel so nauseated and hypothermic that I went straight to bed with all my dirty running clothes and several covers to keep me warm. Only some hours later I was able to appreciate the grilled lamb-chops and a beer, kindly provided by our hosts. Next day we all enjoyed the sunny waterfront of Loutraki, as well a great lunch in a local taverna. I finally recovered but the nausea I experienced right after the race alerted me to develop a better fueling strategy for the longer-distance races ahead. I might be able to finish a 100k on mainly isotonic drinks and some slices of banana and orange, but for any distance beyond I will need more fuel to keep the engine going. Lesson learned! Or better: lesson to be learned in practice, as - in my 100k euphoric mood - I decided to sign up for an unforeseen new challenge: my first 24 hour race (see further)! Other lesson I had to learn is how long body and mind need for complete recovery after a 100k. Can I just continue with my training plan or should I push the pause button for a while I decided to go by feel and three days later I ran a comfortable 20k on the slopes of Ymittos mountain in the neighborhood. That day I realized I was less than 4 weeks apart from my next race, the Limassol marathon in Cyprus, on 18 March. To test my ‘marathon-speed’ I also signed up for the Athens 20k on 4 March. Finished that race in 1:25:16; a minute slower than last year but happy that the 100k did not damage too many ‘fast-twitch-muscle-fibers’. Two weeks later, I landed in Cyprus for my first ‘classical’ marathon of the year. I understand if you think that running an ordinary 42,195k marathon should be a ‘piece of cake’ after a 100k. 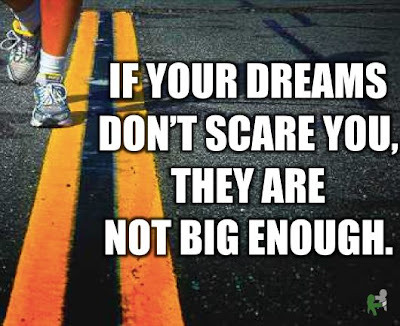 That could be true if I would run it at my 100k-pace (5:19/km average), and yet, it still has to be run too! But its an entirely different story if I want to run the race at my ‘best’ pace, which is around 4:18/km average. Despite my level of fitness, my common sense told me that it is not a wise idea to push for a new Personal Best now, considering the miles behind and ahead of me. The wise voice in me told me to go for a negative split with a slow start and speeding up towards the end. But another voice whispered to give it a blow from the start hoping to maintain the fast pace until the very end. As always I finally choose for something ‘in-between’, also considering the headwind and hills in the first 15k of the race. The hope that tailwind would boost my pace after the first turning-point slowly faded as I found myself running ‘alone’ passing the halfway mark (and the finish of the half-marathoners). Keeping a hard pace with no other runners around, on long straight avenues with the sun burning on your head is not an easy thing to do. Yet I could take over some runners in the final 10k and finished tired but relatively strong in 13th position overall in 3:06:47. My GPS showed 43,15km but even if the course was indeed nearly 1k too long I could not have bettered my PB of 2:58:42. Knowing that I even shouldn't try this year, I tried to convince myself that I raced well without going flat out. Indeed, I felt so good after the race that I walked for another 16k that day! I know it might sound a bit weird but this is the best way to flush out the lactate acid in my legs. The next day, I did not face any soreness and enjoyed a short session in the hotel gym and swimming pool, including some running on the treadmill. Only then, by checking the final results online, i found out that - for the first time in my running career - I finished first in my age group of M45+. To celebrate this unexpected ‘bonus’ I rented a car and drove to Troodos mountain, a unique geological feature in the heart of Cyprus. Just as last year after the Comrades marathon in South-Africa I preferred to ‘retreat’ some days in the mountains, to recharge the batteries as well to start the training for the next challenge! After trespassing the mountain peak of Cyprus, surprisingly covered by a meter of snow - the local ski-lifts were still working - I settled in an authentic mountain village named Petoulas. The next day - the last day of the meteorological winter - I went out for a run to another picturesque mountain village called ‘Kakopetria’, which literally means something like bad or even rolling stones, threatening the mountain village and its inhabitants. This run was supposed to cover a distance of around 36 km and 1000m elevation gain, which is already quite ambitious short after finishing a marathon. However, it turned out to be much longer and much ‘steeper’, as I could not resist to ‘add’ a trail on the way back. That trail was well marked until the marks disappeared under a thick layer of snow. As I didn't want to return I continued on the snow but got lost in the forest and found no better option than following the ridge leading to the peak of the mountain, nearly 2000m high and entirely covered by knee-deep snow, including some sections where an axe and crampons would have been welcome. Once there I finally had a viewpoint at the far-away village and the road leading to it. It took me another 2 hours to find a suitable access to that road and ended the 6 hour run with nearly 50 km on the counter. As often I cursed myself during the difficult moments of the day but felt euphoric once I arrived back in the village. My recovery of the marathon was completed and my training for the challenges ahead took off well, both on the same day! Running for 6 or even 9 hours will probably sound ridiculous to most non-runners, if not to all ‘normal’ runners. Running for 24 hours non-sop is thus beyond imagination and even sounds intimidating to me. And yet, that's precisely what I intend to do in less than 2 weeks time. At least will TRY to do! I will try to run 200 laps of ...1km. Indeed, this time the loop is not 10k but only 1k, on the old airport of Athens (Ellenikon). Its a yearly event called Athens International Ultra-marathon festival, with runners from all over not only aiming at running 24 hours, but even 48 hours, 72 hours and some of them will even continue for 7 days and aiming at 1000 km or more. Indeed, once a running junkie, there seem no limit to the addiction! Although I defy to the idea of running like a hamster in a wheel, the concept of running a complete cycle of day and night makes some ‘existential’ sense to me. Moreover, it will provide a critical learning experience for the S-race, which will take probably around ...34 hours of non-stop running. And walking! Although I defy to the idea of walking in a running race, I will have to apply a smart run-walk-strategy, from the very start of the race. I will also have to develop and rigorously apply a fueling strategy to keep the engine going. Finally I will need a bullet-proof plan to keep my feet in the best possible shape. If one of these plans fail, I will likely have to drop out soon after. But whether I succeed or not to run 24 hours, this race is only meant to provide me enough feed-back (including feet-back) to shoot for my first big ultra, the Olympia-Trail Race, scheduled on 18 May, covering a distance of 180,1km and crossing the Peloponnese in southern Greece from east to west, including mountains and hills. As a last ‘training’ before the O-race, I will also run the Antwerp marathon, on 21 April, already for the fourth time, and - why not - hoping to better my course record of 3:04. To be continued! Good luck Frankouli mas for yr next effort to run 24 hours!! We are with u! !